Obstacle Course w/ 13 ft. Slide- 40 ft. 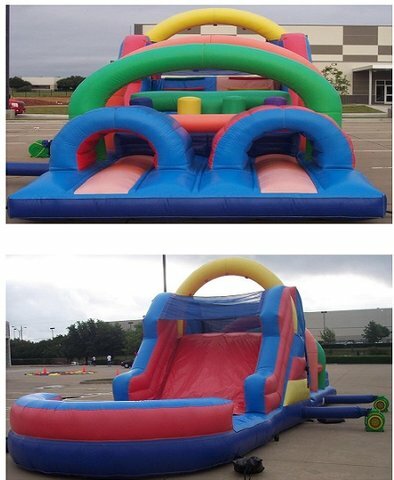 This 40' Obstacle Course with 13' tall slide is great for any backyard event, company picnic, and corporate event. Start off the competition by running through tubes and vertical pop-ups before climbing up and sliding down to complete the course.